Shh! 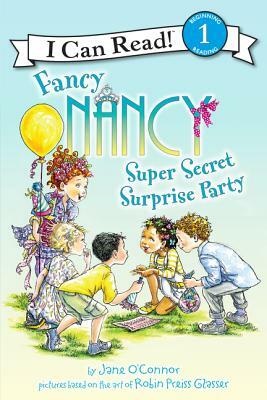 Fancy Nancy and her classmates are planning a surprise party -- that means it's top secret! Together Nancy and her friends prepare the treats and decorate the classroom for the party. Everything has to be kept super secret. Even the cupcakes have a surprise inside! Will you be able to guess who the party is for? Fans of Fancy Nancy will delight as they join Nancy in planning a fabulous surprise in this Fancy Nancy I Can Read Super Secret Surprise Party.